If you have a septic tank buried deep into the ground of your home in York PA, then you will need to think about septic service once in a while. It is quite easy to neglect the system as you don’t see it every day, but if you think about all the waste water that leaves your home on the daily, your perspective may change. The septic system has been here for over 100 years and the design has not really changed over this time. Septic systems play an important role in keeping your property in great shape. Whenever water is utilized in the house, it travels through underground piping to the septic system from where it combines and is separated over time. Septic tanks come in different sizes depending on the size of a property. A typical 3-bedroom house will have a 1250 gallon tank or larger depending on the number or residents. Older systems has a single compartment while newer technology will consist of two. When waste water enters a septic tank, it takes a while before the bacteria on the tank starts to break it down. Heavier inorganic particles settle at the bottom of the tank while the lighter organic stuff floats. As long as the system is properly maintained, all ‘residents’ of the tank have their place and the ecosystem is healthy. If sludge fills above the recommended levels, the liquid part of waste water will have less time to settle into the tank and so solids that should have been left at the bottom leave the tank. They make their way to the soil absorption system, clogging it and prevent effective absorption of liquid. That is how you end up with a backed-up drain field. Why Pump your Septic Tank? Over time, the septic tank will need cleaning and pumping, which we typically recommend to be done every two to three years. Pumping basically breaks down sludge that if left to accumulate for longer than three years, could lead into inorganic solids seeping into the leaching area, which you don’t want. During pumping, any problems with the drainage system are addressed early on and will prevent a full-blown problem. If left unattended for too long, the cost to the home owner could escalate from the few dollars it takes to pump and clean the system to tens of thousands it could take to replace the leaching system and treat the soil around the drain field. After installation, your septic tank will need regular servicing to keep it in top shape. Cleaning and pumping of the system keep solids at the acceptable level and prevent overflows that could result in you replacing the system altogether at a high price. Inspections will prevent surprises that most home owners get when they wake up to backed-up drainages. They will disclose small issues that could escalate to bigger ones that will set you back a pretty penny. Smith’s Sanitary is equipped with state-of-the-art equipment to pump, clean, and maintain your septic system as it is staffed with able and personnel. We respond to distress calls immediately and dispatch a team to check up on your system expeditiously. Having us check on your system now will prevent it from failing in the future. You do not want to wait until the last minute to contact Smith’s Sanitary Septic Service. Still, if you do, we will respond in time to save you the mess that is a busted septic system. 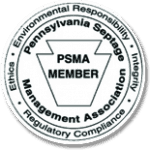 Do not hesitate to contact us for all your septic services in York PA. Need Septic Tank Service in York PA?